Such was the sentiment expressed by one of Richard Yancey's supervisors during his brief and robustly unpleasant stint as a collection officer for the Internal Revenue Service. Yancey has recounted his experiences in exquisitely revolting detail within the pages of his book, Confessions of a Tax Collector – which, given the rapid approach of Tax Day, is seasonally appropriate reading. Why in the name of all that is rational are people afraid of al-Qaeda and remote Jihadists of a similar stripe when the IRS runs rampant within our borders, marinating its personnel in murderous hatred of the agency's victims? Those who are educated in the IRS's training madrassas are required to dehumanize the taxpayer. They are likewise taught to believe that the State – that holiest of institutions -- is never wrong. “But what if the government's interest is wrong?” objected the blessedly obtuse trainee. Some dare call this nihilism. Yancey, incidentally, was referring to an information system he first used in the early 1990s, which is practically the Pleistocene Era where computer technology is concerned. One of Yancey's most interesting observations is that IRS collection agents generally avoid going after organized crime figures – the case of Al Capone being relatively exceptional. This aversion is born out of understandable fear of violent retaliation, but also reflects the fact that the typical gangster, unlike the law-abiding taxpayer, enjoys political protection of some kind. 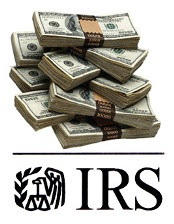 In every particular, the IRS is a criminal syndicate operating under color of positivist “law.” A federal lawsuit in Las Vegas – the city built by organized crime – is testing whether the federal Racketeer Influenced and Corrupt Organizations act (RICO) can be used against IRS agents, federal prosecutors, and police officials who participated in an unnecessary armed assault against a businessman in 2003. The plaintiff, Robert Kahre, runs a construction business in which all of his workers are independent contractors paid in real money – gold and silver, issued by the US Mint, rather than the State's fraudulent scrip. As ICs, the workers are responsible to pay their own taxes. In May 2003, Kahre's business sites were hit with – what else? 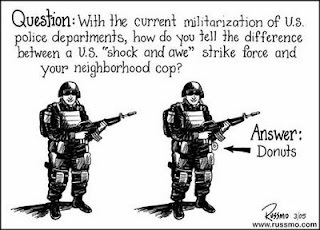 -- a paramilitary raid by SWAT teams working in tandem with federal personnel. About fifty agents armed with submachine guns invaded Kahre's offices, confiscating papers, computers, and – of course – cash. More than 20 employees and members of Kahre's family were handcuffed and held at gunpoint; the detainees included an 85-year-old man and a 14-year-old boy. Some of the victims of this act of State terrorism were held outside, in direct sunlight and 106-degree heat, without water, for hours at a stretch. One site was reportedly searched without a warrant. Kahre himself was arrested on a state warrant by an IRS agent, who didn't have jurisdiction over the matter. The prosecutor at that trial will be Assistant U.S. Attorney J. Gregory Damm, who is the lead defendant in Kahre's RICO suit, as well as a separate civil rights action. Damm has attempted, without success, to have the civil rights lawsuit (which was filed immediately after the raid) dismissed. In October 2004, Federal Judge Philip Pro ruled that Damm is “not entitled to absolute immunity for claims that he planned every phase of an unlawful raid.” In March 2005, an appeal by Damm and IRS agents was rejected by the 9th Circuit Court of Appeals. Three weeks after losing that appeal, Damm secured the first tax indictment against Kahre. “Wouldn't you like to indict the person who just sued you?” commented San Diego attorney William Cohan, who is representing Kahre, to the Las Vegas Review-Journal. Now that Damm is the defendant in two federal lawsuits filed by Kahre, he is ethically required to recuse himself from the case against the businessman. Yet he is still, as of now, scheduled to be the lead prosecutor when the trial begins on May 22. Clearly, there was no justification for the armed raid in May 2003. Damm could very well lose the civil rights case, or be forced to settle it; in fact, the Feds might well do this in an attempt to pre-empt the RICO action. And it's difficult to see how a reasonably competent defense attorney could fail to persuade at least some jurors that the indictment against Kahre was an act of cynical retaliation by a petty, corrupt, and incompetent prosecutor. Roughly a year ago, a $14 million securities fraud case Damm built against a clique of shady attorneys – people accused, plausibly, of defrauding investors out of their money, which (unlike violations of the IRS code) is an actual crime – was thrown out of court because he refused to turn over more than 600 pages of discovery materials to the defense. When James Mahan, the Federal District Judge at the trial, confronted Damm about this omission, the prosecutor replied with such flippancy that the Judge reportedly threatened to have him “spend the evening with the marshals” unless the materials were provided immediately. Among the facts Damm and his associates attempted to conceal was the fact that several prosecution witnesses who had already testified had struck plea bargain agreements. How far down in the Great Chain of Being does this Damm guy have to be in order to earn a slap-down from a trial judge, after enduring one from the appellate judge to refused to dismiss the civil rights suit? It would be easy for a defense attorney to portray Kahre as the victim of an incompetent legal bureaucrat looking to take out his frustrations on a helpless citizen – and that approach would probably play in Vegas. So as I lift my aquiline nose to the wind, I catch the faint scent of settlement offers in the clouds gathering over this case. In addition to the Damm problems with this case, it's interesting that his supervisor, until less than a month ago, was Daniel Bogden, one of the eight US attorneys removed in the White House-orchestrated political purge. Perhaps the Feds will conclude that they have trouble enough in that US Attorney's office without pursuing the case against Kahre. Then again, the Leviathan might want to make an example out of Kahre, and spare no expense to do so. In either case, the chief objective will be to do whatever is in the best interest of the apparatus of fraud, plunder, and terror of which the detestable IRS is a representative component. Arm yourself to do battle with the Leviathan: Visit The Right Source for news, commentary, Kevin Shannon's talk radio show, and Tom Eddlem's "The Right Action" -- a freedom-centered program for activism. I have a question here that Will, DD or someone else more knowledgeable that I might be able to answer. I keep hearing from some quarters that the Federal Income Tax as an entity itself is somehow not really codified (I refer to the Tax as a whole and not to the gazillion page code that outlies the procedures, do's and don'ts), or that it is not really legal. Is there really any justification for these positions? I think that the Federal Income Tax was not a permanent fixture until after WWI. What's the scoop here? As an aside, it appears that Mr. Kahre is more than just a victim of a Dammnable prosecution here. Sorry, sometimes I can't help myself. Did the Feds go after him because he was paying his IC's in precious metals? Your knowledge is as good as mine, Cap'n Kirk. I don't have time to research it in any depth, but I've heard that the 16th Amendment wasn't ratified by the requisite three quarters of the states by 1913, even though the government claims otherwise, of course. About Mr. Kahre, I agree Kirk, yes, I think the real reason the IRS attacked him is because he paid his ICs in precious medals. Will, are you sure that the IRS is publicly making hay over income tax itself and not that Mr. Kahre didn't report the proceeds, whatever the sort, he paid out to his ICs (i.e. 1099s)? Because that, OTOH, would easily pass jury muster. You know, the rule of LAW and all that; it would be more palatable for mass consumption and not show the IRS in an even worse light than it already is by giving renewed vigor to the fiat vs. tangible money debate. Will is correct, though, that designated ICs themselves, and not Mr. Kahre, have to write their own individual income tax checks (or debit) to the IRS and file the proper forms. Companies or businesses, especially small businesses, sometimes hire employees and make them ICs for several reasons. It's not JUST about removing the employer's income tax liability (pertaining to employees), but most if not all legal liabilities, are also born by the individual ICs as well and not the parent business. I've been an IC in the past so I know a little of what it is about. I got hit with a state tax lien in 2003 for a 1999 income that I somehow "forgot" to file at the time. I had sent the federales their cash as I couldn't fathom their dogs beating my door down, but the states get the info from the feds and 4 YEARS later I get a nice nastygram from Richmond. Anyhow, I managed to hold the state dogs at bay until Virginia instituted "Tax Amnesty" that year (luckily!) and my new assessment ended up being only about a third of the original liability and the penalties that had accumulated since '99. To say I was relieved would be an understatement after that episode ;). go to te webpage freedomabovefortune. joseph bannister used to be an IRS agent and after he heard devvy kidd on the radio, he began to question what she was saying. he later discovered the truth. when he took this info to his superiors, they kindly asked him to quit. i hear he has a paper that he wrote and that it's online. 1) i've read the code only applies to 5% of americans (look at the 16th amendment. it talks about source of income. those sources are listed in the CFR. most americans do not have income from those sources. 3) the income tax went into full swing after WWII. it was called the liberty tax. it was a war tax. it was about 5%. it was "voluntary" and supposed to end at the end of the war. well, at the war's end the govt sent out the forms again and people sent in the cash! 4) milton friedman gave us income tax witholding. it was his idea. congress loved the idea. 5) go online and find the 1992 and 1993 1040EZ forms. read the preambles... "congrats!...you are among millions of americans who voluntarily pay the income tax!" i kid you not, that's what it says. My advice to those who think there are all these novel ways to avoid paying the stupid income tax: dont even think about it. The whole system is rigged against us peans.Courts, law enforcement etc... and they have bigger guns than us. Fighting against them this way is futile. I just took care of many years of back taxes and unfiled tax returns. It sucked me dry financially. But I have the last laugh because the whole edifice of Empire that these jerks have built will crumble quickly when the debts are due. When the foreign lenders who hold them come calling. When this happens those who have experienced hardship and financial suffering will be most ready - physically, emotionally and psychologically - to weather these future times of hardship. Those who have achieved their entire existence at the expense of others will be left stranded like a fish out of water Suddenly these fat maggots won't have their inflation adjusted paycheck and taxpayer subsidized benefit plan - to depend on. Do you think these parasites would know how to function during a time such as this. Do you think Japanese or Chines central bankers are going to give a crap about these beauracrats and what they think they are "owed". I think not. Its truly sad that we've been lied to and herded about like cattle all of our lives. That the "herders" and "herdees" move on as if everything is normal is what always amazes me. You can almost hear the liars shouting out "Move along now. Nothing to see here. Move on/"
As long as "We, the Sheeple" are willing to suffer this, it will not only continue, but get worse. The fact is that "We, the Sheeple" are perfectly willing to put up with this, for the simple reason that 1) taxation is not a very painful form of slavery for the mass of us, and 2) we can easily delude ourselves into believing that we're getting something for nothing. After all, "the rich guy", the one who earns more than we do and who deserves to have more of "his" money stolen for the common good, will be the one to pay, not us. As for the folks Will mentions here, well, it's somebody else, not us. It'll never happen to us. There is just so much damning evidence. If our forefathers were alive today, I'd bet you my left nut that they would not just be screaming 'REVOLT!' but would be preping the noose to hang the bastards that run this poor excuse for a government. As for me, I'm waiting for the recession to hit. 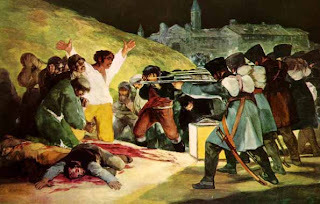 Nothings better for starting a rebellion then economic hardship. Can't wait to be hanging them rotten bastards. P.s. Check out the HQ for Liberation Armies knew headquarters. Ron Cole may be arrested, but he has more allies then he knows. "There is no stopping those who would call us terrorists. But in that measure, consider this...Who is the one who brutalizes the citizens? Who is the one, at the end of the day, who robs you of your wages? And who, tell me, oh who, is the criminal, the Freedom Fighters who die to protect our rights, or the Politicians, and Policemen who wave the flag, but reach into our pockets to steal our money. When the poor, and desolate inhabit the Earth, made such by the corrupt wills of their very own leaders, no vain thing, nor hollow words shall make right all the evils they hath perpatrated upon us. So that, come hell or high water, the highest tree, is the tree they will be hanging from"
"The road to freedom, is paved with the blood of patriots, and tyrants, there bodies feeding, and nursing the roots of all the children, and saplings of liberty, that grow up with fierce, and rebellious vigor, ever upwards towards unknown horizons. The Treason Called "Executive Privilege"